“Reconciliation is a story about all of us and it’s a lot bigger than they say.” That’s the tagline in a nationwide advertising campaign promoting a conversation on the importance of reconciliation between indigenous and other Australians. “Too Big a Story” marks the 40th anniversary of the 1967 referendum, which saw Aboriginal and Torres Strait Islander Australians counted in the national census of the population, for the first time. 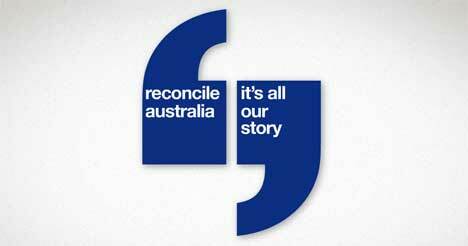 The ‘Too Big A Story’ campaign involves 15 second TV ads pointing to point to the Reconcile Australia website, reconcile.org.au where viewers can express their own thoughts on reconciliation. Missy Higgins, Michael Caton, Michael O’Loughlin, Leah Purcell, and other influential Australians from business, sport, the arts, science and communities talk about reconciliation, what it means to them, and what they think we need to do to close the 17 year life expectancy gap between Indigenous and non-Indigenous children. The Reconciliation Australia campaign was developed at Saatchi & Saatchi Australia, Sydney, and directed by Tim Gibbs via 8 Commercials. The web site was developed by Resolution Design.